LOS ANGELES—In the wake of numerous sexual misconduct allegations against prominent figures in Hollywood, the entire film industry will reportedly be replaced by 40,000 Christopher Plummers, sources said Friday. 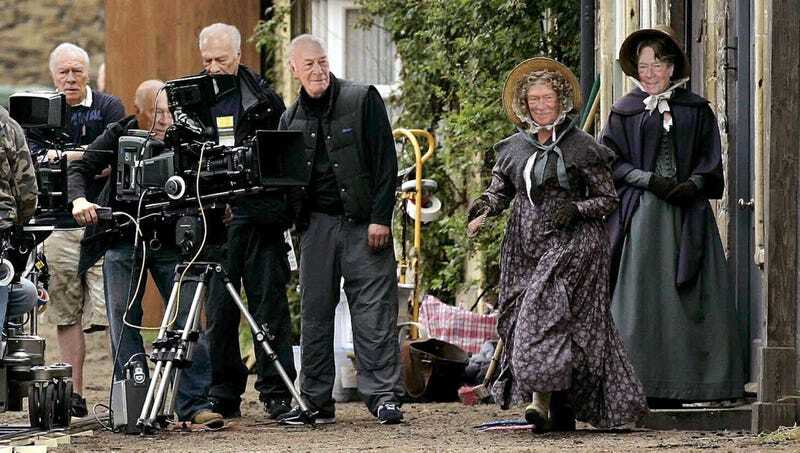 “Going forward, veteran actor Christopher Plummer will write, direct, and star in every movie we make and is currently working with us to reshoot hundreds of features already in production,” said studio executive Christopher Plummer, adding that the entire history of film would eventually be altered with Christopher Plummers swapped in for the roles and also feature revised credits to reflect the fact that Christopher Plummers performed every behind-the-scenes task. “We’ve got Christopher Plummers serving as sound designers, foley artists, background extras, hair and makeup, key grips, and even craft services. To be honest, this was long overdue.” At press time, Plummer had been forced to resign after allegations of sexual harassment from five other Christopher Plummers surfaced.